Summary: Learn how to get in rhythm and stay in rhythm by watching videos of the Atrial Fibrillation Patient Conference that was held in Dallas on November 2, 2013. At the conference, presentations by leading afib experts provided atrial fibrillation patients, families, and caregivers with the information to manage afib and get appropriate care. Reading time approximately 2–3 minutes. 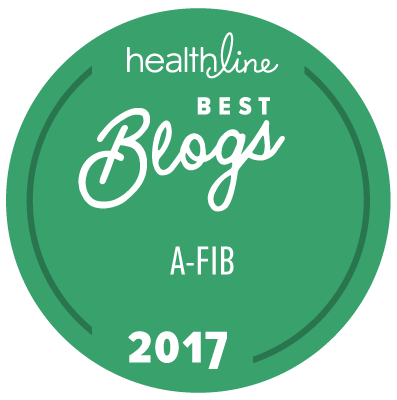 For those who suffer from an irregular heartbeat known as atrial fibrillation, getting in rhythm and staying in rhythm can be an elusive goal. Thus, StopAfib.org hosted the first Get in Rhythm.Stay in Rhythm.TM Atrial Fibrillation Patient Conference in Dallas on November 2, 2013. At the conference, leading medical experts helped patients, their families, and caregivers learn more about this condition that affects millions of people worldwide. The conference was hosted by StopAfib.org, and supported by these sponsors: Baylor Heart and Vascular Services at Dallas, the Heart Hospital Baylor Plano, Boehringer Ingelheim, Sanofi, and Medtronic. In addition, CONSUP NA, INC. provided Gerolsteiner mineral water for all participants. Knowing how important this information would be to those living with atrial fibrillation, we committed to do a two-camera video shoot of the entire conference—a very expensive undertaking—in hopes that you, the afib community, will be willing to help us defray those costs through a donation (instead of us charging you for these videos, which many of you said you were willing to pay for). You can make a secure tax-deductible donation here, or click on the red Donate Now button. If you have any problems donating, please contact us using the Contact link in the upper right corner of the page. To watch the conference presentations, select the topic from the conference agenda below. Learn about the upcoming conference at Get in Rhythm. Stay in Rhythm.TM Atrial Fibrillation Patient Conference. To learn about the upcoming conference, go to Get in Rhythm. Stay in Rhythm.TM Atrial Fibrillation Patient Conference.